When working on updating the information on using Magic Lantern to control your camera from inside a housing I did some thinking about alternative ways of getting control of the camera, and something really obvious sprang to mind that made me re-think my position on the Canon 70D Vs the Canon 7D. Recently there was a rumour that Canon would not be releasing a successor to the 7D, so I had a second look into the 70D as the next obvious choice for an upgrade to my current 60D body, and one feature that now stands out now is the WiFi connectivity, allowing you to control it using an app on an Android or iOS device. So I could use my old phone, or any cheap second hand iPod touch or Android handset, to have full control over the camera even when it’s secured in the housing. I just need something very cheap and simple like the Aquapac Keymaster to waterproof the phone, tuck it into my wetsuit when I don’t need it, then I can very quickly and intuitively change the settings on the camera. 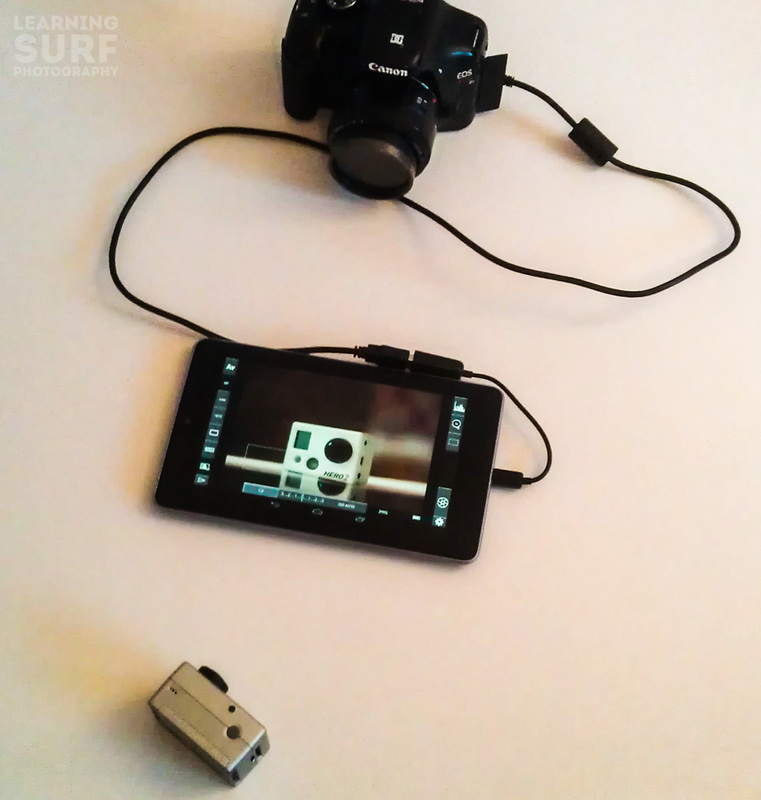 All future camera bodies I buy will have WiFi built in, I predict that in the next couple of years housings will no longer need the physical controls, except the shutter release maybe, so they can be lighter, more universal and much easier to make. If I was Aquatech I’d be setting up a mould for a generic camera shape with no buttons, making a clear back plate with a slot for a small Android tablet or phone on the back, and then hiring an app developer. The app could easily have 4 or 6 pre-sets, you go in and set up your aperture, ISO, shutter speed, focus mode, drive mode, focus point, exposure compensation, flash settings and anything else you want to change, then just hit one of the icons on the phone to activate that setting on the go. Reviewing your photo’s would be easy, hand the phone to the surfer, show him/her what you’ve got so far and even compare it to a photo or sketch of what you envisaged, in the line-up, for assignments the director of photography could have another phone displaying the shots live, and could relay instructions or notes via the app. You could send the photo’s to Instagram between sets, the possibilities are endless. There you go, the future’s bright for surf photography, incidentally it looks like there will be a Canon 7D Mark II or something similar announced soon so maybe my recommendation will end up being a second hand 70D.